– to keep your online product quantities up-to-date with your in-store sales. Install in your WordPress the Hiboutik plugin (available on our Github repository): go to the Plugins tab and import the file downloaded (“Add new”). A new tab “Hiboutik” will appear in the left menu of your WordPress dashboard. -the store ID in which sales will be registered on Hiboutik. Your initial store ID is 1. You can ask our customer service to provide you with your different stores IDs for multi-stores accounts. – the shipping product ID on Hiboutik (create this product as any single item). All shipping fees from Woocommerce will be assigned to this product. – the sale prefix will be added to the sale ID of Woocommerce to differentiate your online sale from your in-store sales. Ex : woo_ This prefix is compulsory. The matching of your products on both solutions is done on the barcode (Hiboutik) or SKU/UGS (Woocommerce). When you create a product on Hiboutik, a generic barcode is automatically assigned to the product or to its different variants. You will find them in the “Barcodes and prices by variant” section of each product form. You can change these barcodes with your own codes. On Woocommerce, you can fill a SKU (UGS) in each product form, in the Inventory tab. To match with Hiboutik, you must enter in this field your product barcode from Hiboutik. For variant products, you must also match each variant SKU with the variant barcode from Hiboutik (go to the Variations section and select each variant). To import your product database from Hiboutik to Woocommerce with ease,consult this guide. 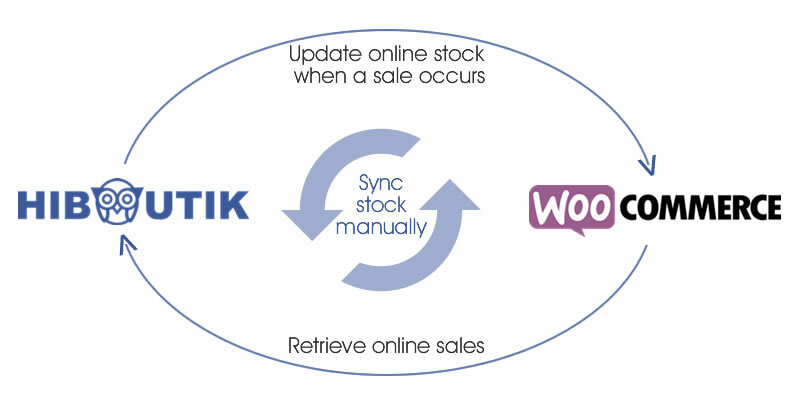 If you need to sync all your inventory between Hiboutik and Woocommerce, you can click on the “manually synchronize stock” button on the Hiboutik plugin setting page. You must do it at least one time to initiate your online stock. – or when you switch your Woocommerce order status to Processing. – and withdraw from your inventory all quantities sold in the limit of what is available on your Hiboutik account. Then you will need to validate the sale. You can add on your Hiboutik account a specific payment type for all online sales (ex: WEB). You can sync each Woocommerce order only one time. So if you change your Woocommerce order after the synchronization, you will have to update manually your Hiboutik sale. The customer is automatically sync between both solutions, but not the addresses. It should be available in a future development of the plugin. To keep your online inventory up-to-date, a synchronization between Woocommerce and Hiboutik should be done each time a new sale is processed on your Hiboutik account. To do that, we will use webhooks. In Settings/General settings of your Hiboutik account, enter in the Sales webhook field the URL displayed on the Hiboutik plugin setting page in your WordPress. 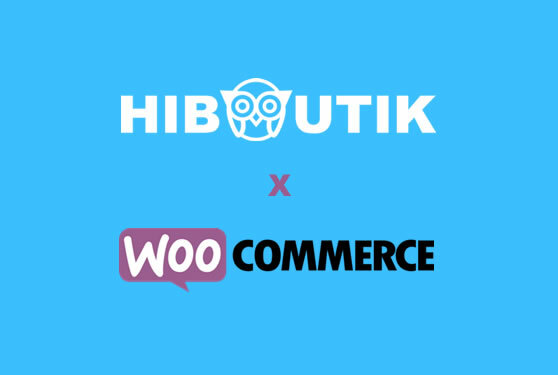 When a sale is closed on Hiboutik, the Hiboutik plugin on Woocommerce is called to update your online stock. If a Woocommerce product doesn’t match with an Hiboutik product, an unknown product will be added to the sale. If quantities of the product sold on Woocommerce is not available on Hiboutik, quantities of the product line will not be withdrawn from the inventory. For the first orders synced, we recommend you to check that tax rates on products are correctly registered (especially if you deal with different tax rules). If your web server doesn’t respond to the webhook, an error message will be displayed on your Hiboutik account informing you that connection is cut off. You can restart your session (logout and login from your account) to relaunch the webhook attempts. When this occurs, you should relaunch a complete synchronization of your online inventory from the Hiboutik plugin setting page. This entry was posted in MISC and tagged woocommerce, online, website.